EVERYTHING FOR HOME IS HERE. 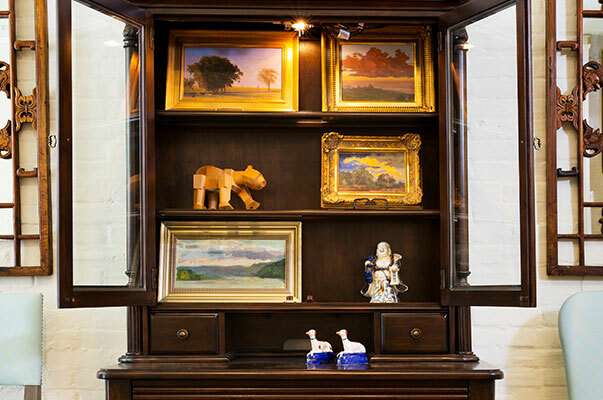 We are constantly seeking unique, interesting, and useful pieces to keep the store your destination for everything to do with your home. We have designed and displayed the upholstered pieces to allow the shopper to imagine them in their Home. Still our USA made upholstery is fully customizable, so, if you want/need a purple (blue, red, green, plaid) sofa, please ask us! 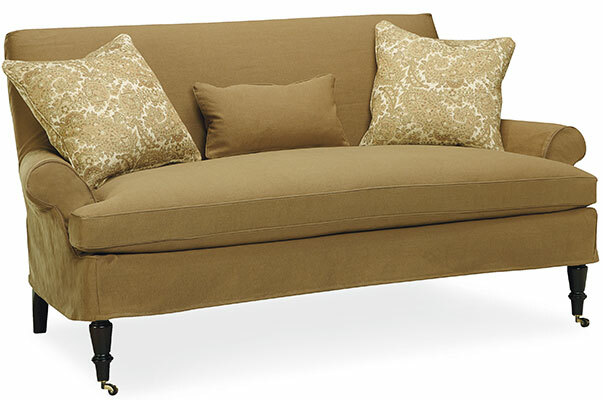 We also just created our own Home on Cameron line of upholstered pieces including sofas and chairs! We have several on display in the showroom so stop in to take a look. 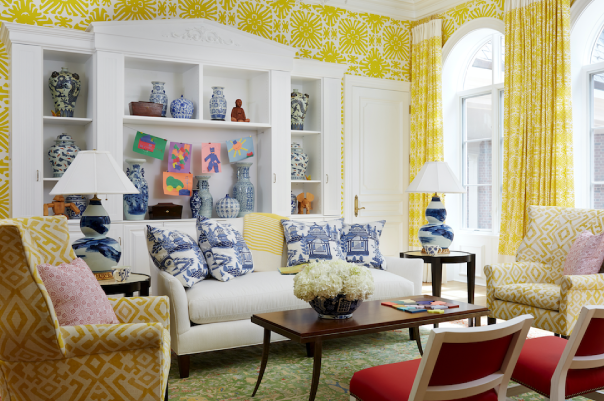 We have worked with Avanti Woodworking on Capital in DC to create our Home on Cameron Collection. It is a series of dining, console, and coffee tables that reflect our interest in design that’s timeless and still forward looking. Again, these pieces are fully customized, so, if a 72″ long Dining Table is too small…. just let us know and we can have one made to your specs! 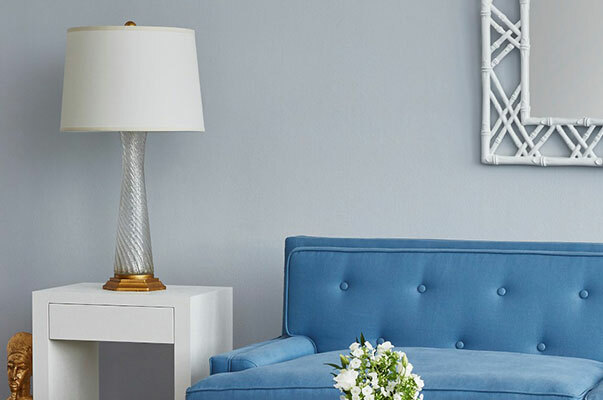 We have sought out unique chandeliers and colorful, interesting lamps to help you make your house your Home. 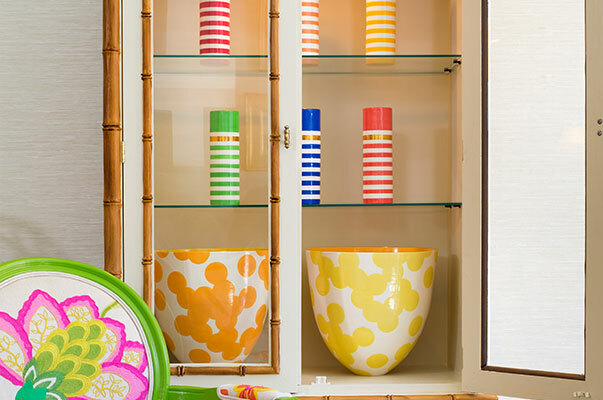 We feel that every home in improved when a vintage piece or two is added in to the mix. 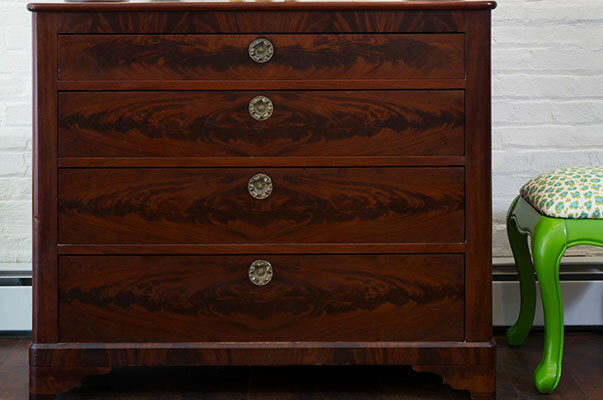 To that end, we have curated a selection of older pieces to give your home depth and a collected feel. We also carry a selection of colorful ceramics and pillows, throws, wooden toys that double as sculpture, some baby items and dog accessories. Another unique area is our collaboration with Greg Peeples, of Old Town Fine Art. 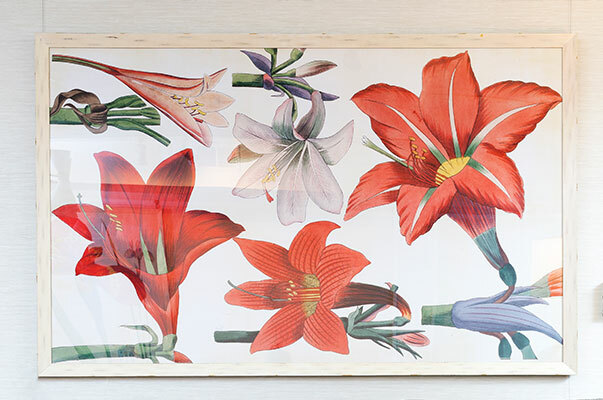 He is supplying us with an array of paintings by national and emerging artists as well as vintage prints and travel Posters. 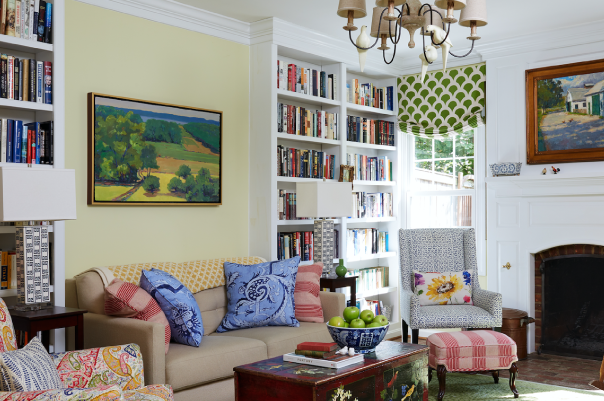 Susan and Todd created a sunny family room in a Potomac, MD home by incorporating cheerful wallpaper, painting the built-in bookcases, and adding durable fabrics and a vintage rug. 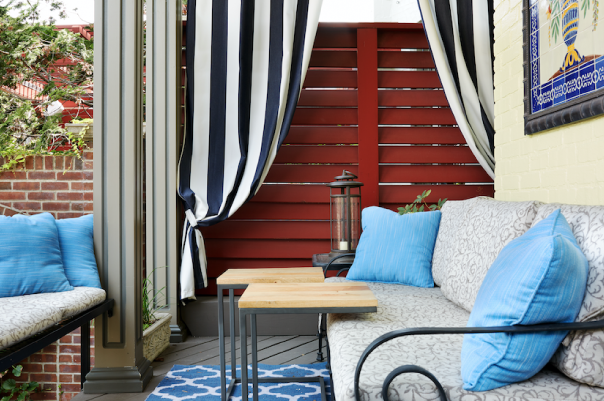 Susan updated this Old Town Alexandria rowhouse by adding her signature color with paint, wallpaper and fabrics as well as remodeling the master bathroom. 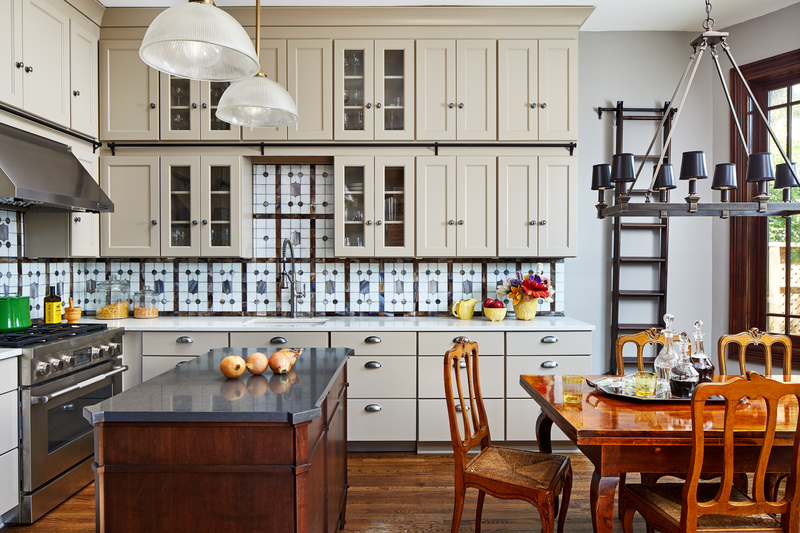 Todd designed and consulted on the remodeling of the kitchen, master bathroom, guest bathroom and powder room in this DC rowhouse and incorporated custom cement tiles in the kitchen and master bath, as well as adding vintage pieces. 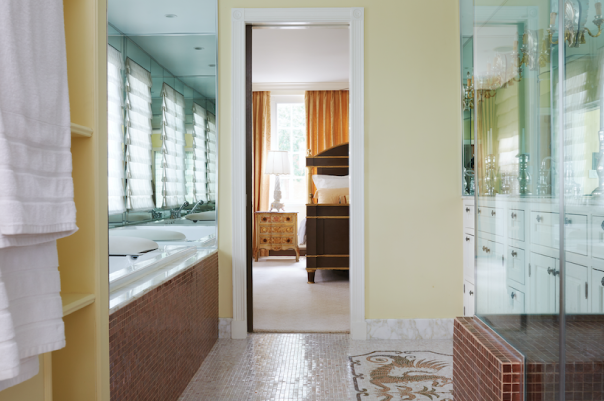 Todd designed the interiors of this DC single family home including custom finishes such as window treatments, as well as designed and consulted on the remodeling of the kitchen and master bath, designed custom furniture and added a wet bar. Todd updated this Logan Circle kitchen to include a custom island and stained-glass backsplash, as well as custom-colored cabinets and a ladder to reach the top cabinets.